A former teacher volunteers in a classroom at Kegonsa Elementary School. Several volunteers regularly come to the school to support students in areas such as reading comprehension and math while also building positive relationships. This school year, v olunteers have been helping out in classrooms at Kegonsa Elementary School and supporting students in areas such as reading comprehension and math. 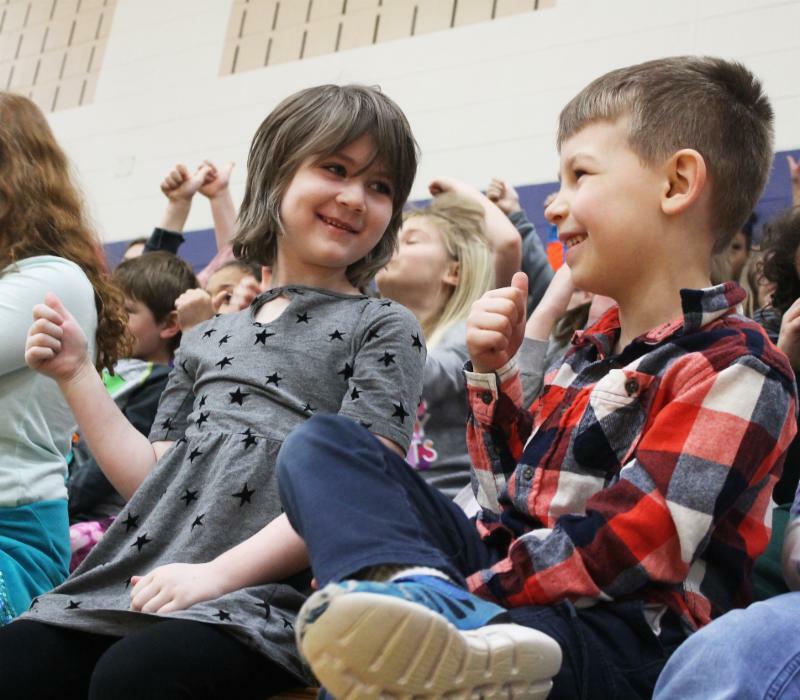 Sandhill Elementary School students gathered for an all-school assembly on Friday (March 15) to kick off a Kindness Revolution initiative and promote values such as dignity, respect and kindness. The assembly featured music and presentations from students and community members about how they give back to the community. 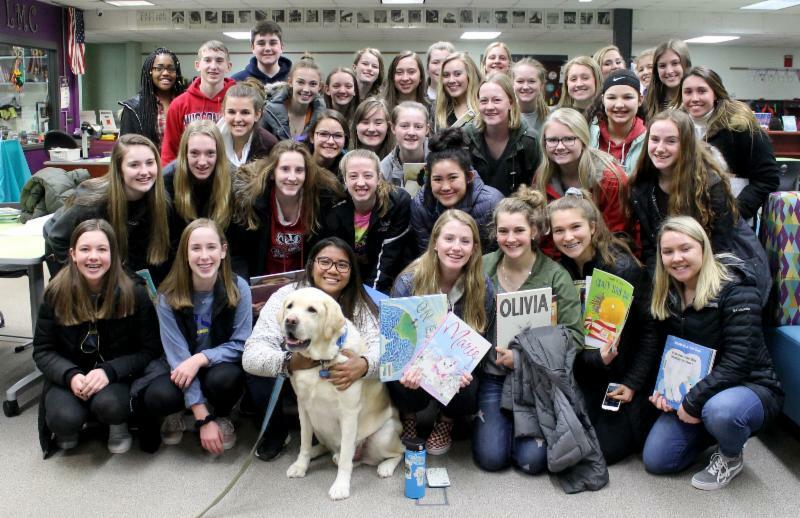 The kickoff concluded with a visit from the Kindness Revolution mascot, Izzy, and the Sandhill mascot, Stella. The Kindness Revolution is a national non-profit initiative that seeks to raise awareness of values such as kindness and leadership. Next week, Sandhill students will talk during their morning meetings about how they can promote kindness. 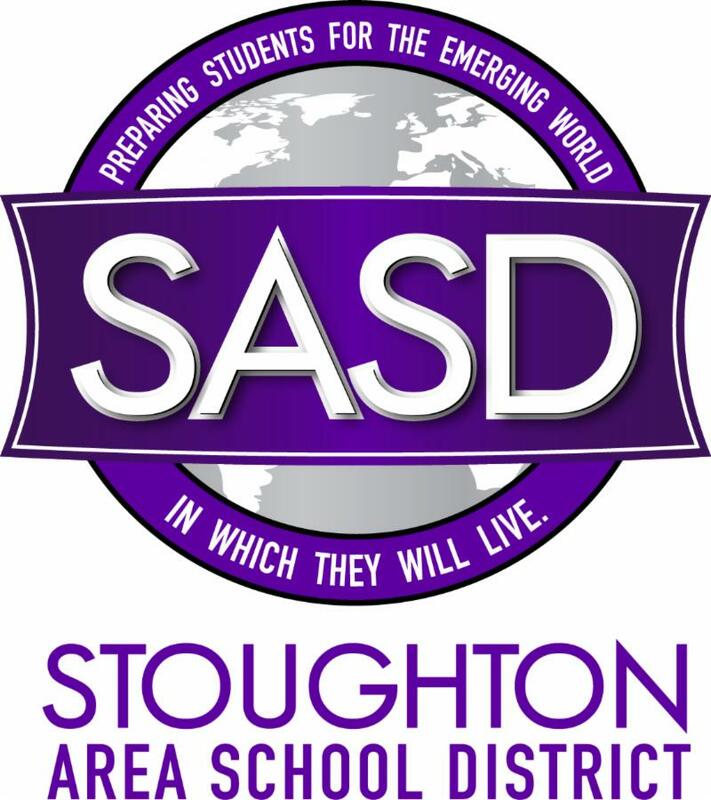 Additionally, the school will embark upon a service learning opportunity in which students will create/design wooden cranes to be placed throughout Stoughton as a sign of the school's dedication to spreading kindness. 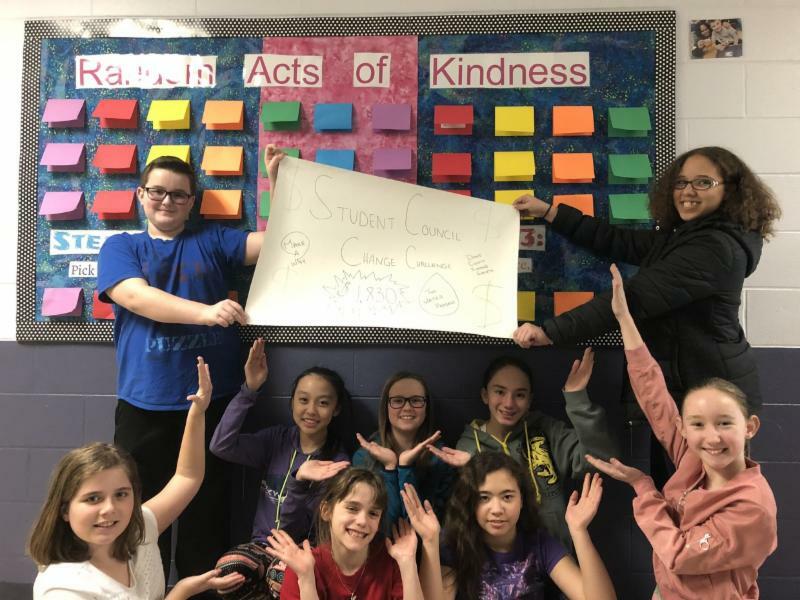 "We will call this activity 'Kindness in Our Community' and invite all families to tour Stoughton in search of over 20 cranes beginning Saturday, March 23," the school said. The cranes will be on display until April 22. The River Bluff Student Council recently organized a charitable event called the "Change Challenge." Students in each grade selected a charity to support by bringing in pennies, nickels, dimes and quarters. They competed against other homerooms in their grade to be the top fundraising group. 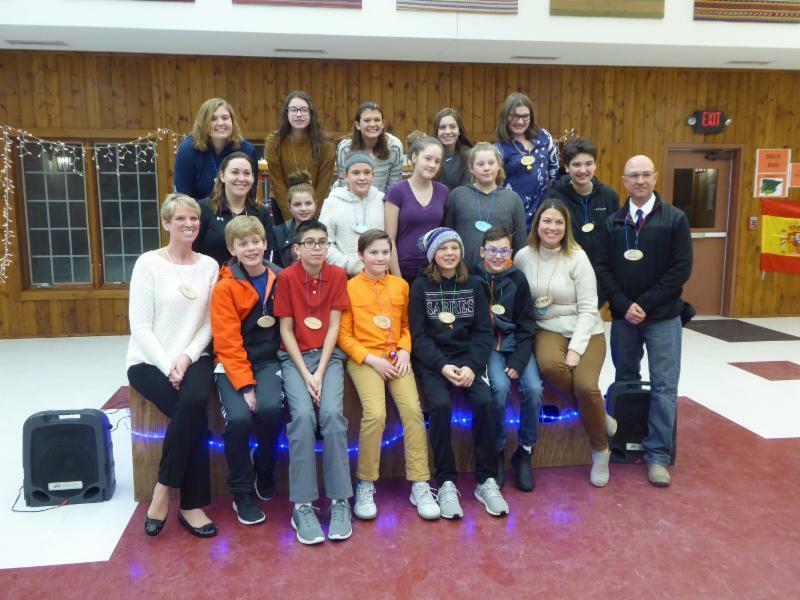 The sixth grade selected The Water Project , an organization that builds water wells in Sub-Saharan Africa, and raised $890 for that nonprofit, with Mr. Reiser's advisory bringing in the most. The seventh grade chose the Dane County Humane Society and raised a little over $100, with Mrs. Tomaszweski's group winning. The eighth grade raised $830 for the Make a Wish Foundation . Mrs. Martinez's advisory was the top group in the school, bringing in over $400! The Change Challenge was to conclude Friday (March 15) at the annual 3-on-3 basketball tournament, where all the admissions will be donated to these charities as well. Great job to all who participated! 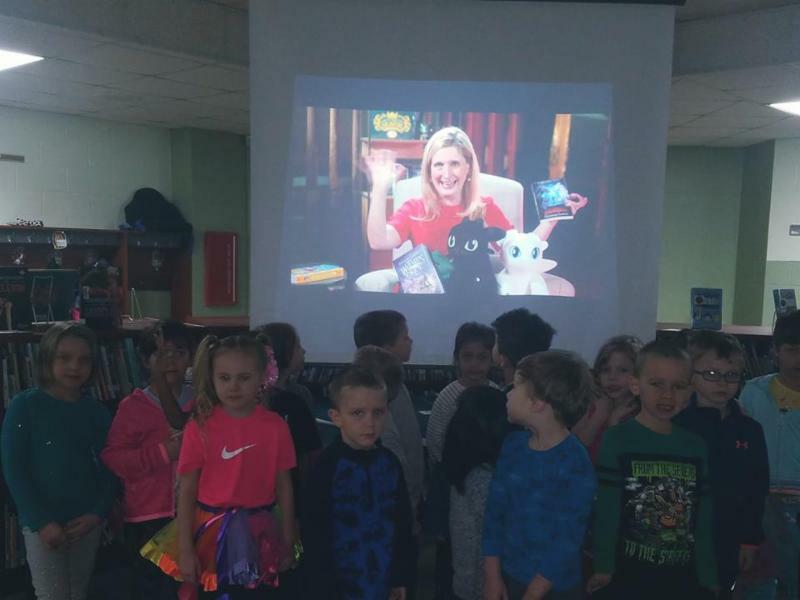 Fox Prairie students recently experienced a live streaming Skype program featuring the book "How To Train Your Dragon" and its author, Cressida Cowell. There were two sessions to accommodate all the students on March 6. Cowell offers the Skype program to "inspire students to tap into their boundless imagination and ... show how using character development and details in stories make them more believable and fun." "How to Train Your Dragon" is a series of children's books set in a fictional Viking world and centering on the experiences of a youth named Hiccup and his dragon, Toothless. The popular series has been adapted into several movies. Cowell is also the author of the new Wizards of Once series. Our school district is trying to build our computer science program, and we need your help. 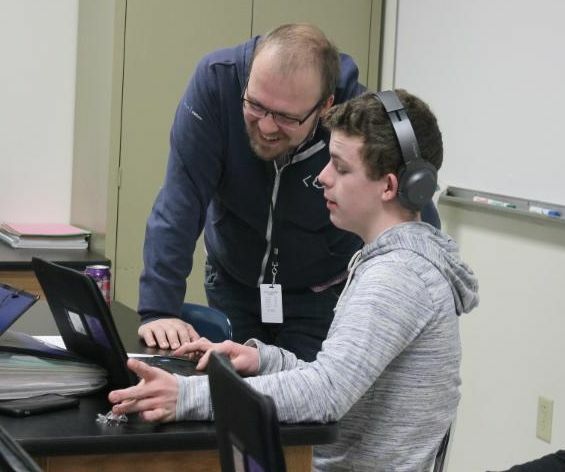 Stoughton High School has started offering computer science classes through TEALS (Technology Education and Literacy in Schools) , a program that connects schools with industry professionals to teach computer science. 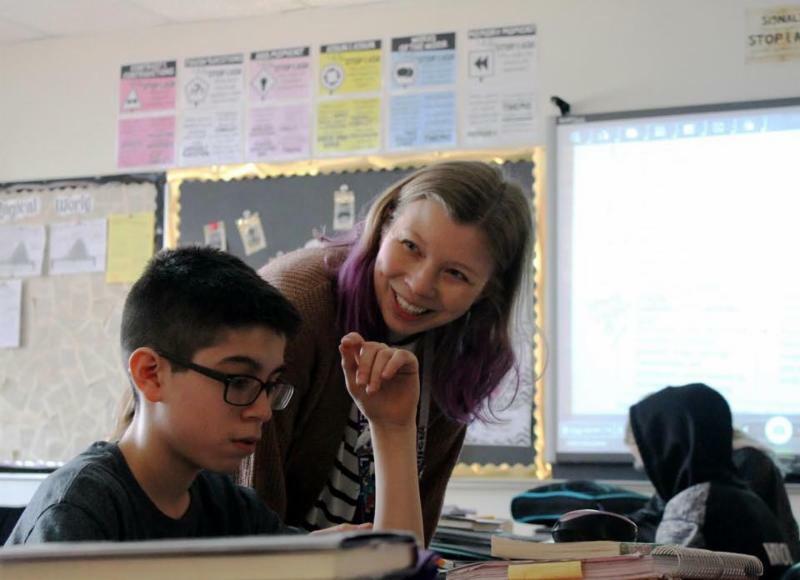 "Microsoft Philanthropies TEALS is a program that recruits, mentors and places passionate technology professionals into high school classrooms as volunteer instructors," according to the organization. "These volunteers bring subject matter expertise and work alongside our classroom instructors to teach computer science together. TEALS provides training for both parties, rigorous curricula and opportunities for students to continue their education outside of the classroom." Our school district is looking for professionals from fields such as software development and computer programming who are willing to volunteer and help our classroom instructor teach classes in computer science principles and introductory coding. These one-hour classes take place in the morning, and our District will gladly accept whatever time industry professionals can give to help our students develop skills in this growing field. 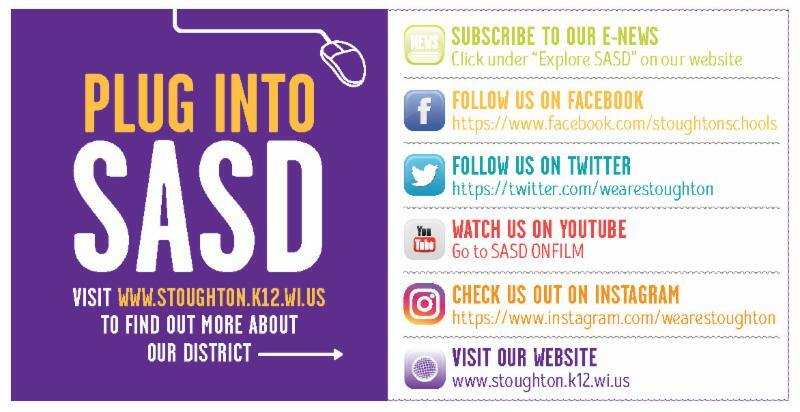 If you or someone you know works in these fields and would be interested in making a difference in our students’ future success, please contact Kate Ahlgren, director of curriculum and instruction for the Stoughton Area School District, at 608.877.5031 or Kate.Ahlgren@Stoughton.K12.WI.US . Check out the above video to hear Sandhill Elementary School students talk about what makes them super scientists, artists, learners, friends and heroes. A group of 15 River Bluff Middle School students deepened their understanding of the Spanish language and culture during a weekend camp at Concordia Language Villages earlier this month. During the camp, the students learned about Spain as a country, including its governmental structure, history, Arabic influence in Spain, Flamenco dancing and more. Additionally, our students were able to select learning experiences that personally interested them, including cooking, drama, playing field hockey, darts and table games, handball and painting. The main experience at the camp was the Spanish language immersion, which allowed students to practice Spanish communication skills. Congrats to Lucas Hartberg and Ella Hembrook for winning the Spanish Speaker awards! River Bluff was the only school to win two awards! 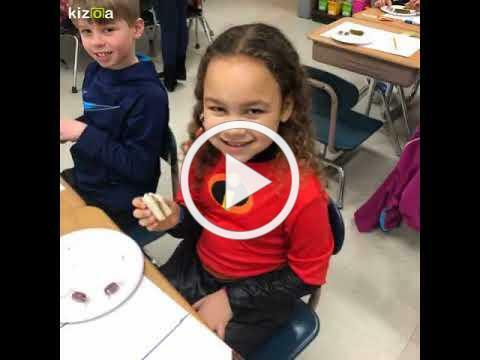 Kegonsa Elementary School is producing lots of video content via YouTube , including a "Kegonsa Kids Talk Show" that features students interviewing school staff. This first episode featured an interview with Kegonsa Library Media Specialist Kristin Rosenberg. Click on the link above to watch the video and check out the YouTube channel for more videos! 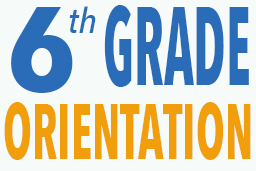 The purpose of the event is to share information about the middle school curriculum, student activities and other topics to help in the transition to middle school. Both families and students are invited to attend. “We know that our families play an important role in helping our new sixth grade students adjust to middle school, so we want to make sure you have all the information needed to be off to a great start,” River Bluff said in its invite. ﻿Families who have any questions should call River Bluff at 877.5500. 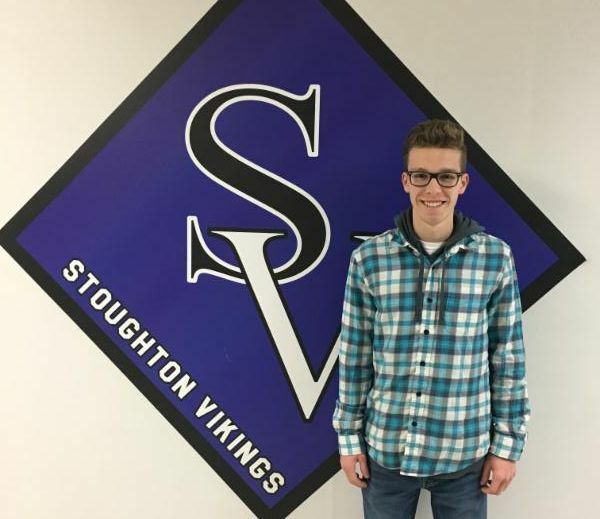 Stoughton High School students have been recognized with scholarships and awards in recent weeks. Matthew Gille has been selected for a Herb Kohl Excellence Scholarship , which is awarded by the Herb Kohl Educational Foundation to recognize student leadership, citizenship, school and community involvement, and academic achievement. The application process is rigorous and highly competitive. The Foundation awards $10,000 scholarships to 100 Wisconsin high school graduates each year. Fuchee Yang and Freeman Detweiler have each been awarded a Technical Excellence Scholarship , a state-sponsored scholarship that is awarded annually to seniors across the state who have demonstrated excellence in the area of Career and Technical education. 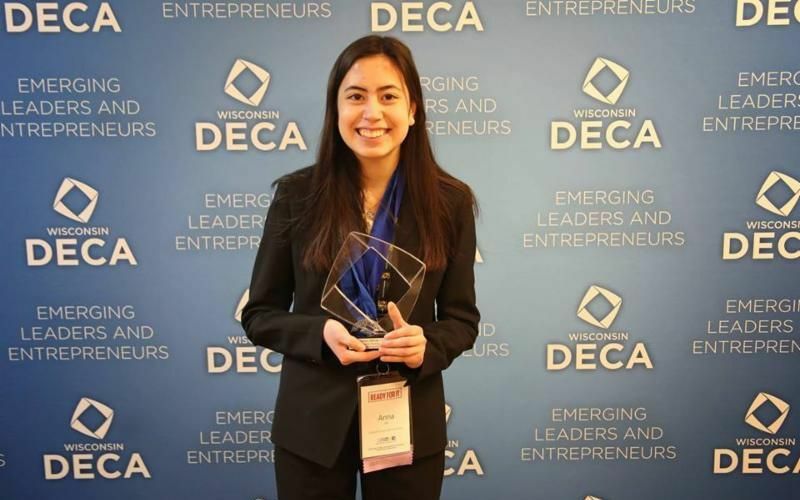 Each high school in Wisconsin has a set number of Technical Excellence scholarships to award based on their enrollment. The scholarships are worth $2,250 a year for up to three years and must be used at a technical college in Wisconsin. 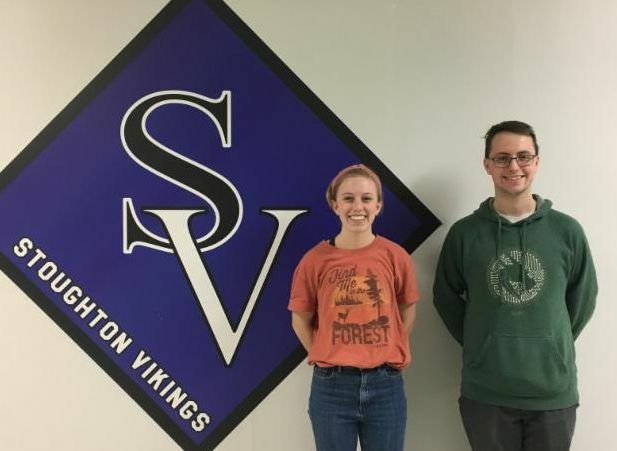 Collin Ace and Margaret Ross have each been awarded an Academic Excellence Scholarship , another state-sponsored scholarship that is conferred each year upon seniors across the state who have earned the highest grade point average in their class. The scholarship is worth $2,250 a year for up to four years. It must be used at a college in the state of Wisconsin. 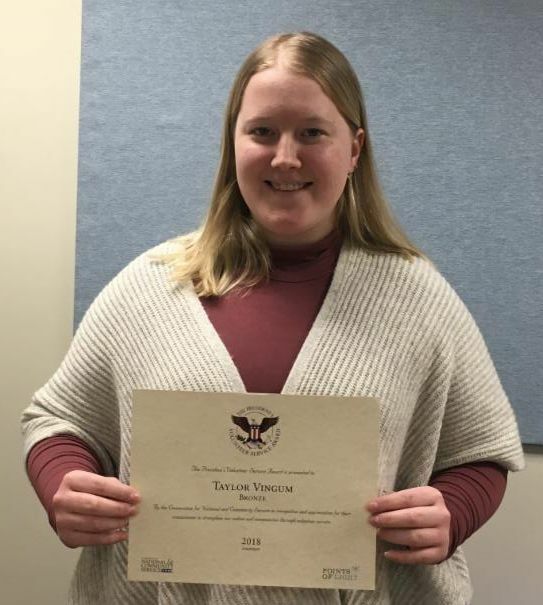 Awards are issued for service hours served within a 12-month time period or over the course of a lifetime, according to the PVSA website. A group of SHS students will attend Badger Girls and Boys State this summer thanks to support from the American Legion. Badger Girls and Boys State is a weeklong summer experience where selected juniors from all around the state of Wisconsin get together to learn about our government and the democratic process in a fun and interactive way. The American Legion Women’s Auxiliary is sponsoring Anja Nygaard, Katherine Zacharias and Neveah Richardson. 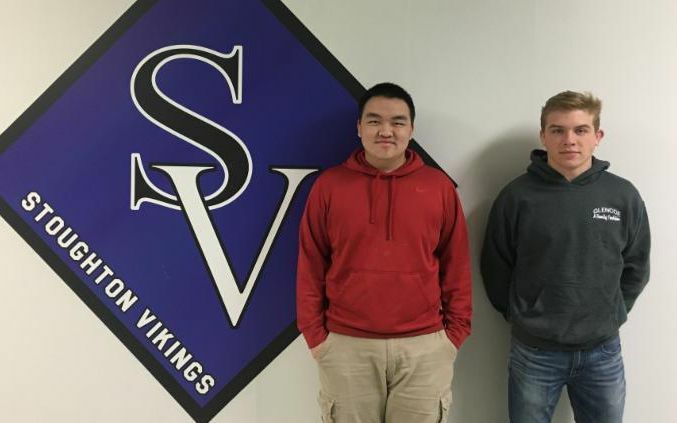 SHS students Evan Jensen and Gabriel Dickens will attend this summer’s program through a sponsorship from our local American Legion. Pat Hensen, technology education teacher at Stoughton High School, shares how he incorporates his experience racing cars into the classroom in Speedway Motors' "What Moves You" video. 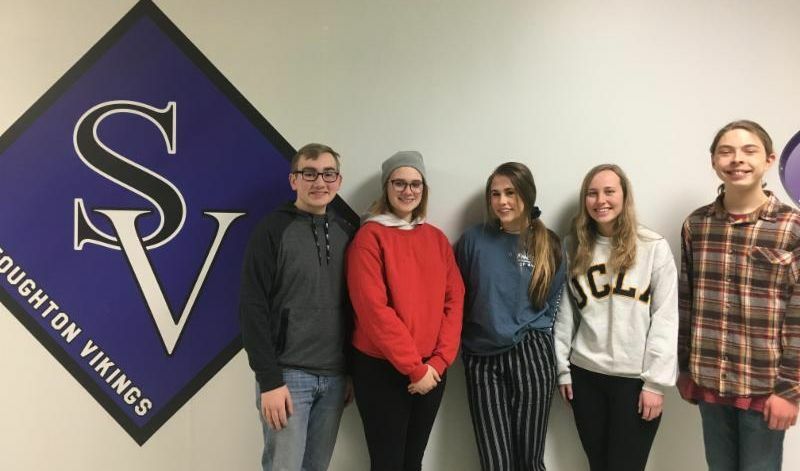 Members of Stoughton High School Student Senate visited Fox Prairie Elementary School on March 5 to read some of their favorite children's books to students and to promote literacy. You can find out the latest activities and programs organized by local organizations and nonprofit groups by visiting our Community Flyers page . You can also download some of the most recent flyers bundled into a single PDF file. Fox Prairie Elementary School is seeking volunteers for its Watch D.O.G.S. program, a family and community engagement initiative. Watch D.O.G.S. are fathers, mothers, grandfathers, grandmothers, guardians, aunts, uncles or community members who volunteer for a half or full school day at Fox and help out by reading and working on school activities with students, playing at recess, eating lunch with students, watching school entrances and more. Would you like to be a Watch D.O.G.? Please click here to sign up. Families, thank you again for your patience this winter as we have dealt with all the challenges posed by the snow and cold weather. 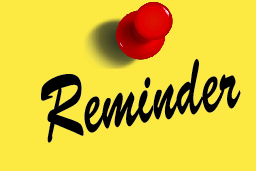 A gentle reminder that to make up days of classes we canceled due to weather, our District will have school on Monday, April 1, and on Monday, June 10. Students should come to school both days as they normally would, and our buses will operate under their normal schedule. ﻿Thank you again for your patience, understanding and flexibility. 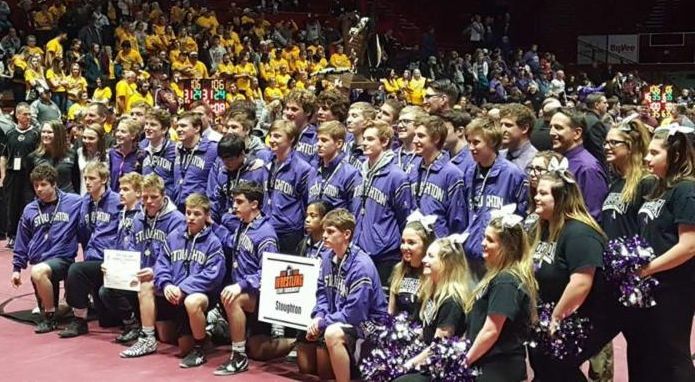 Earlier this month, the Stoughton High School wrestling program captured its second consecutive team State championship. The Vikings won the WIAA Division 1 State Team Title with a 42-24 victory over Mukwonago. This is the ninth overall team State title the wrestling program has won. Congratulations and thanks to all that supported and helped make this possible! Stoughton DECA competitors had great success at their State Career Development Conference. Hannah Furseth, Landon Bedessem, Brianna Pautz, Brad Yarwood and Anna Lee all medaled in either their content area test or role play. Lee also was a Top 10 finalist for her Professional Selling project and placed 1st in Principles of Hospitality and Tourism.